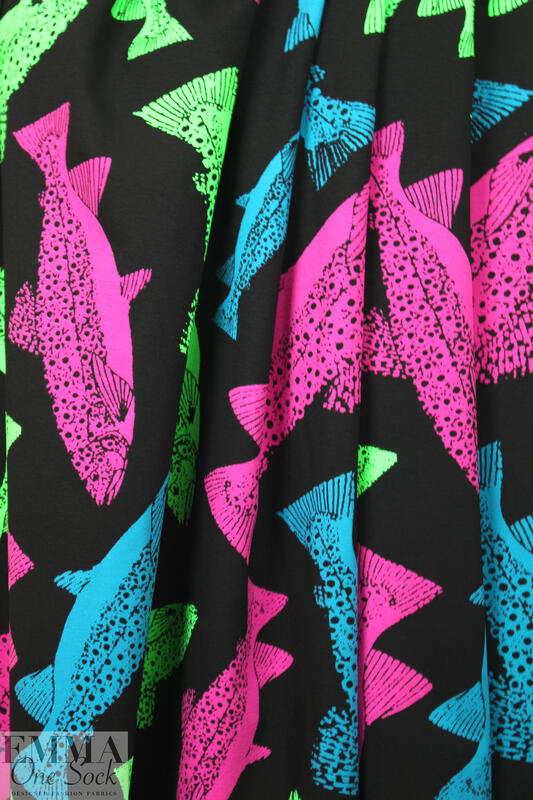 This cotton/spandex knit print made in Italy is high quality, substantial in weight, with about 60% stretch in both directions. It is opaque and has a soft drape with body. 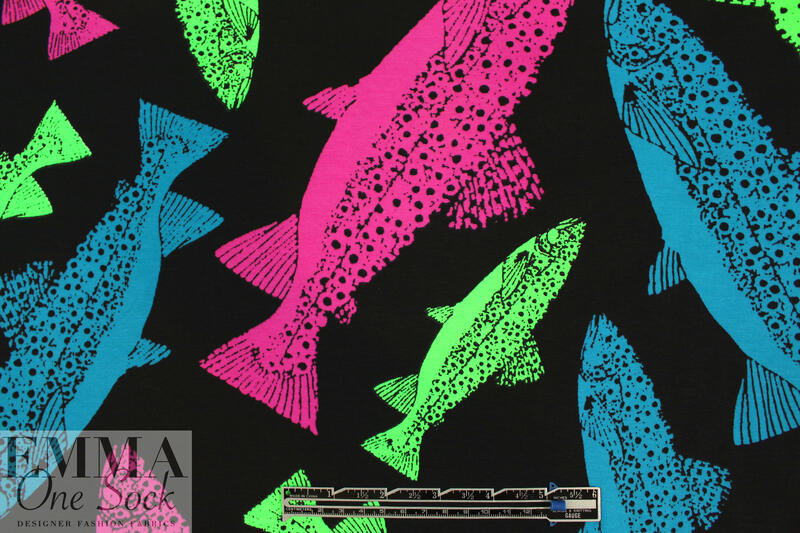 The digital "big fish little pond" print (24.5" repeat) is bold and summery, with brightly colored trout on a black ground. 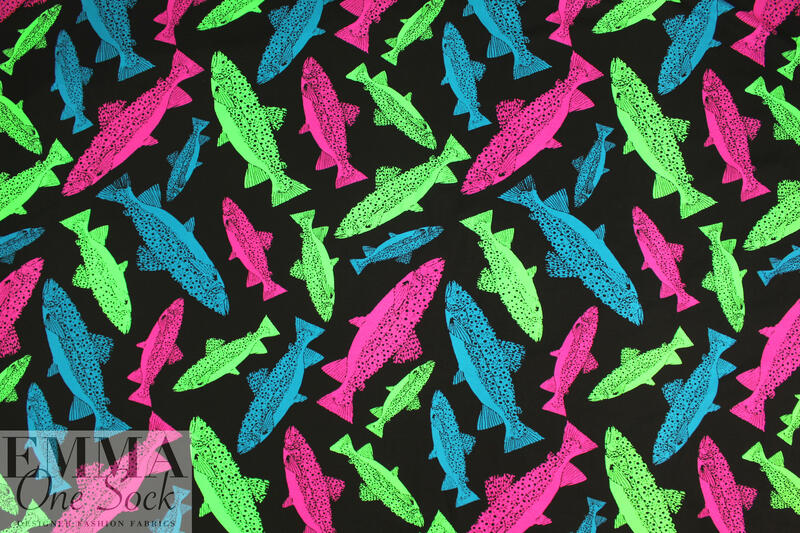 Colors are bright pink, blue and lime (PANTONE 17-2624, 17-4433, etc.). 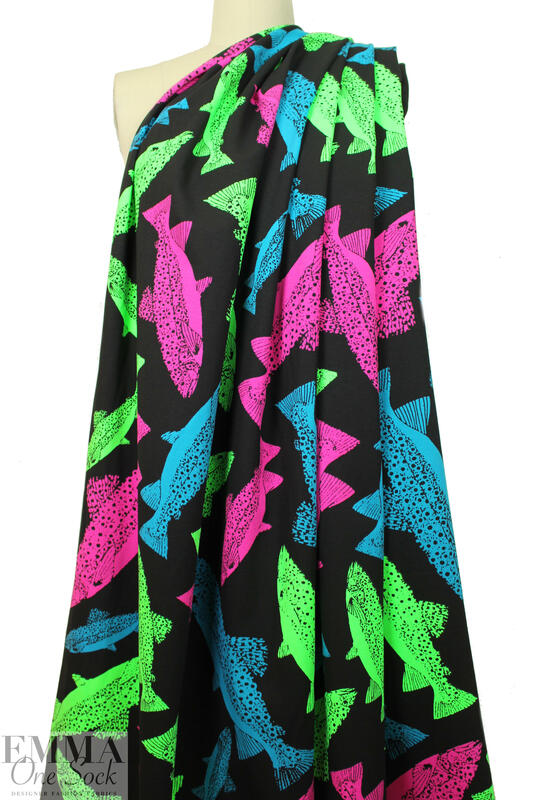 Make a fabulous tee, top, tunic, kidswear, skirt, dress, loungewear, beach/cruise wear, etc. Hand or machine wash cold, hang to dry. Please test first. LAST PIECE, .75 yds.